Commercial overhead door is a comfortable solutions for people who look for a strong overhead door, that can open and close in a relatively quick and silent way, and that will not take any space when the door is open. 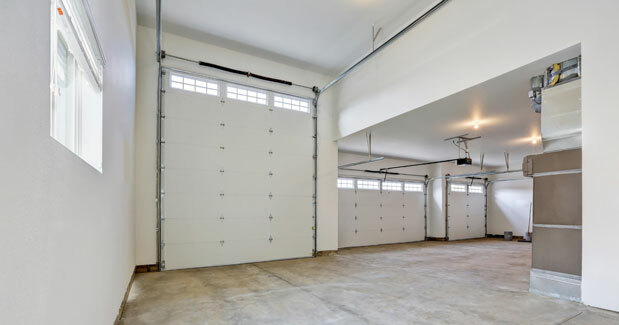 As you know, the overhead garage doors in Fairfax and in North Virginia are open up, and when they are open, the door itself doesn’t take any space, that a different type of door or gate would. After so many years of servicing commercial rollup overhead doors in Fairfax and in North Virginia, we learned that the amount of overhead garage doors in Virginia is endless. There are single car garage doors, commercial overhead doors, rolling doors, insulated doors, aluminum doors, glass doors, wooden doors and more. And as a professional garage door vendor in Virginia, we can fix all of them. To us it doesn’t matter if it is a commercial overhead door repairs in Fairfax VA, or a new garage door in North Virginia, when you are a pro, no garage door project in North Virginia and Fairfax, residential or commercial will be too much for you. Three States Garage Doors can service all of overhead doors in North Virginia and Fairfax and offer garage door repair in North Virginia. There aren’t many garage door companies in Virginia who say with confident, and stand behind what they say, but we have the experience to say it clearly: If it is a garage door, Three States Garage Doors can make it work. When an overhead garage door in Fairfax get stuck, not responding or if it went off tracks, and it doesn’t matter if it is a commercial rollup overhead door in North Virginia, or residential one car garage door in Washington, the first thing you should do is to stop using the door and call to a commercial garage door contractor in Fairfax or in North Virginia to come and repair it. Many times during our garage door services, when we arrive to repair a commercial rollup overhead door, we find that beside the problem which prevented the commercial rollup overhead door from working in the first place, there are now few more problems which accrued due to repeated attempts to operate the commercial door although it is busted and safe for use. The repeated attempts to make the door move, can break other parts and the operator itself, and in some cases can be very dangerous, and result with serious injuries. Since busted garage door in Fairfax should not be used, unless a local garage door expert in Fairfax repaired it, and made sure that the door is safe for use again. If your commercial overhead door’s spring is busted, stop using the door, and do not try and open or close it. Let everybody know the garage door should not be used, and call Three States Garage Doors for same day garage door repairs in Fairfax Virginia. Busted commercial rollup overhead door spring is something that can happen even if you maintain the door on time. But you don’t need to worry, our garage technicians in Fairfax are experienced with dealing with busted spring replacement, and they can replace the busted spring today. 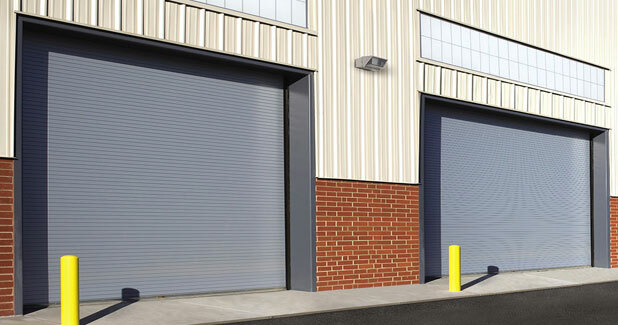 The majority of the commercial rollup overhead doors in North Virginia are equipped with torsion spring system, which is the preferred spring system for heavy duty industrial overhead doors. When one of the coil springs break (Or more than one in some cases), or if the spring is not adjust correctly and doesn’t support the door like it should, there isn’t a lot you can do except contacting a garage door vendor in Fairfax who specialize in commercial rollup overhead doors and who offer same day repair service for overhead doors in Fairfax and in North Virginia. Although Three States Garage Doors offer same day service for all kinds of garage doors, the commercial rollup overhead doors in VA often require custom made new torsion coil springs, to fit a heavy duty garage door like the commercial overhead doors in North Virginia are. Do not think that if you will visit a garage door supplier in Fairfax Virginia you will find the spring you need, and even of you will, there is still a complicated spring replacement ahead of you. Torsion commercial overhead spring replacement for garage door in North Virginia is not something for someone who isn’t experience enough win the commercial rollup overhead door filed, since some of the industrial overhead doors in North Virginia can get to thousands of pounds, and dealing with them with the wrong tools, or without the proper training that each of our technicians in North Virginia got, can end with damage, personal injuries and even death. Again: Industrial overhead doors might look simple to operate and repair, but know that there is enormous amount of tension on the door and the door’s parts, so please be careful. Three States Garage Doors ready for any kind of garage door repair service, commercial, industrial or residential, since servicing garages in Fairfax and North Virginia is what we do, and since we consider ourselves professionals, we are ready to service any kind of commercial overhead door in North Virginia and Fairfax. We carry in our service trucks torsion coil springs for many commercial overhead doors in North Virginia, and we may also carry with us the required spring to repair your busted garage door. But in some cases of commercial rollup overhead door spring replacement in Fairfax VA, we may need to measure and weigh the overhead door, and to come back with the needed torsion spring. If this is the case, our technician will give you a temporary solution, like closing and securing the door, or temporary repair for the spring, and he will return with the missing torsion spring and perform the replacement, sometime even within few hours. Since if you are located in Fairfax or in North Virginia, that mean that you are local to us. If you own an industrial overhead door in North Virginia, and for some reason it went off trucks, call Three States Garage Doors now for a same day service. It may seem attempting just to push the roller of the door back into the trucks, and in some cases it may temporary solve the problem, but this is something that you should avoid. Since there is a reason why your garage door in Fairfax went out of the trucks. And pushing the roller back into the track will not solve the issue, and can put people who use the door at risk. You must address the reason that caused the issue, and this is something that only a trained overhead door’s technician in Fairfax can locate. The rollers which connected to the door on one side, and roll inside the tracks on the other, are what holding the door, and when the rollers coming out of the trucks, the door can fall down, and you can imagine how dangerous overhead door that weigh hundreds or even thousands of pounds may be. If it fall out of its tracks. With our same day industrial overhead door services in North Virginia, Three States Garage Doors can fix your garage door today. To us it doesn’t matter if you need a garage door repair in Fairfax, or a garage door repair in Alexandria VA, because fixing garage doors is what we do, and we are ready for every project, commercial or residential. Since a commercial rollup overhead door, whether in Fairfax and Virginia, is usually working in a perfect and a smooth way, and open or close whenever we need, it is easy to forget that when it breaks it can be dangerous. It doesn’t matter if it is a busted commercial rollup overhead door in North Virginia, a busted Garage Door Fairfax or a roll down gate repair. The experts from Three States Garage Doors always recommend our garage door customers: if there is a problem with the door, let the professionals deal with it and fix the door, and especially when the issue involve a commercial overhead door repair in North Virginia. Things that may seem simple to you may be much more complicated than it may seem, and vice versa, many times it may seem like a big problem to you, but it may actually be something simple that a trained garage door tech in Fairfax can easily locate and repair. 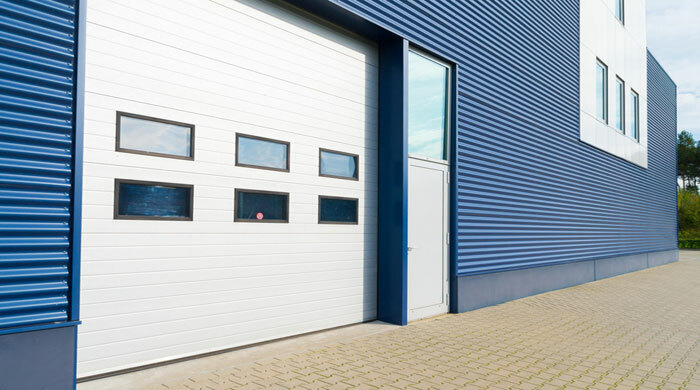 After repairing, installing and maintaining thousands of garage doors in North Virginia and in Fairfax, we have the ability to provide solution for every commercial rollup overhead door issue. From busted garage door spring repair, to new garage door operator installation, if you are looking for commercial rollup overhead door service, Three States Garage Doors is the answer. If you are interested in keeping your commercial rollup overhead door in North Virginia working in a smooth and in a safe way like every commercial rollup overhead door in North Virginia should, you should make sure that the door will be maintained at least twice every year, and to use a trained garage door specialist in North Virginia to perform the maintenance job. You should know that lubricating a commercial rollup overhead door in North Virginia is something that should be done, but it is never enough. Since a commercial overhead door in Fairfax include many moving parts, and the door is under a lot of tension, and sometime can be used multiple times every day, some of the door’s parts can get lose or even break. In that case there is a need for a garage door expert in Virginia, who can examine the door, locate busted, damaged or lose parts and address the issue. Whether it is a commercial rollup overhead door in North Virginia, or a roll up gate repairs in Washington D.C., garage door maintenance CAN NOT replace a garage door repair. 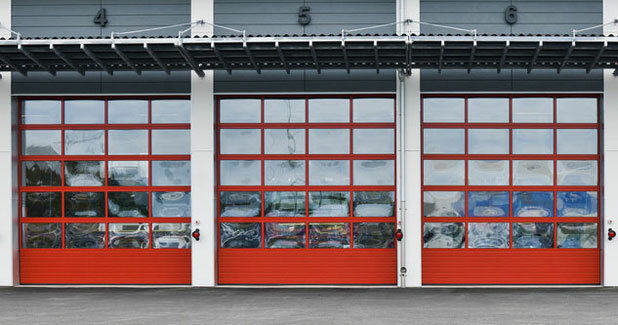 If you’re commercial overhead door need repairs, if the coil spring is busted, if the cable snapped, the operator burned or any other problem that prevent the door from working properly, you will need contact a garage door specialist to fix the problem and replace the damaged part before performing the maintenance. No amount of lubrication can replace a busted part, and many people in Fairfax turn to remember that they have been ignoring the need for commercial garage maintenance only when the door is completely stuck and some parts broke. Most commercial overhead doors in North Virginia are operated with an electric garage door operator (Motor-driven overhead doors). If you are experiencing difficulties operating your overhead door in North Virginia using the electric operator, you may assume that the reason is a malfunction with the electric operator, when it may actually be a different reason. The way the overhead doors in Fairfax Virginia operate is when the garage door spring system lifting is what opening and lowering the door, and the electric operator is only doing a relatively small amount of lifting. To simplify things, and to make it simpler for you to understand that, we can say this: If a garage door is not operating properly when it is being used manually, it shouldn’t be used electrically. Before we install or fix a garage door operator in North Virginia, first we make sure that the door is working properly manually, and only after fixing issues with the manual operation of the garage door, we install the new garage door operator. And this goes for every garage door in North Virginia, whether it is a commercial overhead operator repair in Fairfax, or a new garage door operator installation near North Virginia. How often you maintained the garage door? How often you use the garage door? What is the quality of the garage door? Was the door installed properly, by a trained installer in Fairfax? Where the door is installed? Is it a commercial or residential overhead door? And many more questions that can help answer the question: Why the overhead door got stuck? But sometime the reason is obvious, like if someone hit the door with a car, or someone mistakenly broke the door. The important thing is to avoid trying and open or close the door, and contact a garage door specialist in Fairfax who offer same day garage door repair service. Three States Garage Doors are proud to announce: With our same day service in North Virginia, we will fix your broken overhead door today.